“Our people are hurting. Unemployment is high and good-paying jobs have disappeared. Working families can’t afford to send their kids to college. Instead of working together to address these problems, Speaker Madigan and his Chicago allies decided to take a nice long vacation. We need a budget that works for our families, communities and state. Enough delays, enough stalling, enough political games. Let’s get this done,” said Rep. John Cavaletto (R-Salem). “I and my colleagues are here ready to work. Unfortunately Speaker Madigan is not. 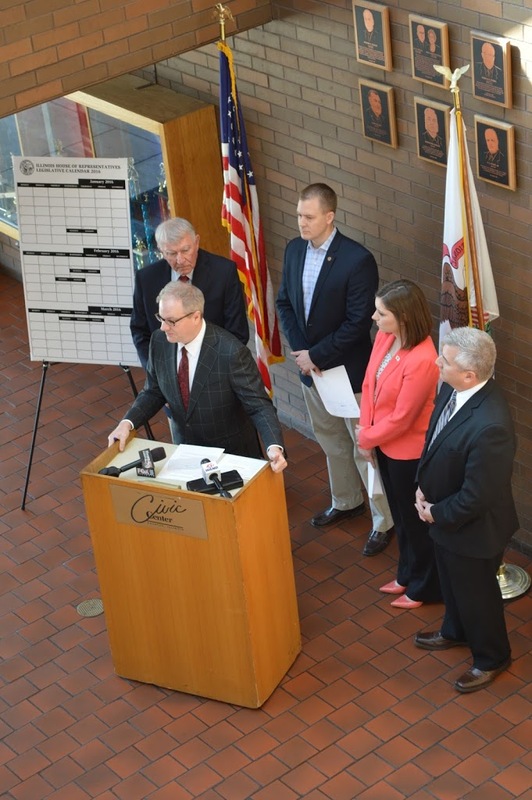 It is time to stop playing political games with the future of Illinois and pass a balanced bipartisan budget,” said Rep. Avery Bourne (R-Raymond). 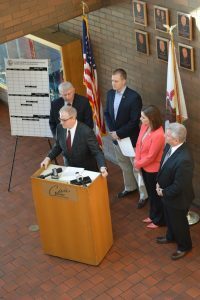 The Downstate GOP lawmakers are sending a letter to Speaker Michael J. Madigan (D-Chicago) requesting that he and Senate President John J. Cullerton (D-Chicago) call the General Assembly back into special and/or continuous session to deal with the ongoing budget crisis. Article IV, Section 5 of the Illinois Constitution states that special sessions of the General Assembly may be convened by joint proclamation of the presiding officers of both houses. 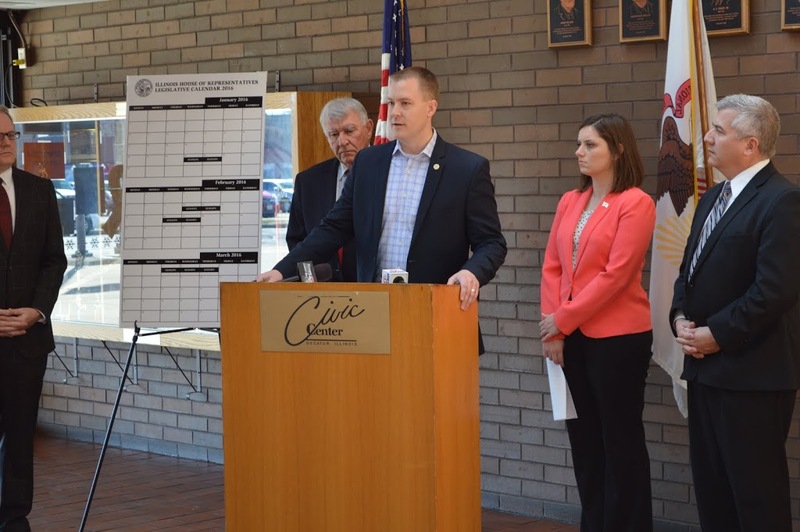 As legislators are entitled to a per diem of $111 for special session days, the GOP lawmakers have pledged to not accept per diems for any special session days called for budget purposes.